Trump said a major incident happened in Sweden. Swedes don’t know what he’s talking about. 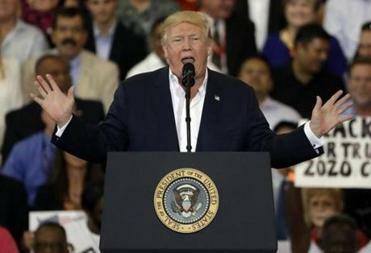 President Trump spoke at the the Orlando Melbourne International Airport on Saturday. HELSINKI (AP) — Swedes have been scratching their heads and ridiculing President Donald Trump’s remarks that suggested a major incident had happened in the Scandinavian country. 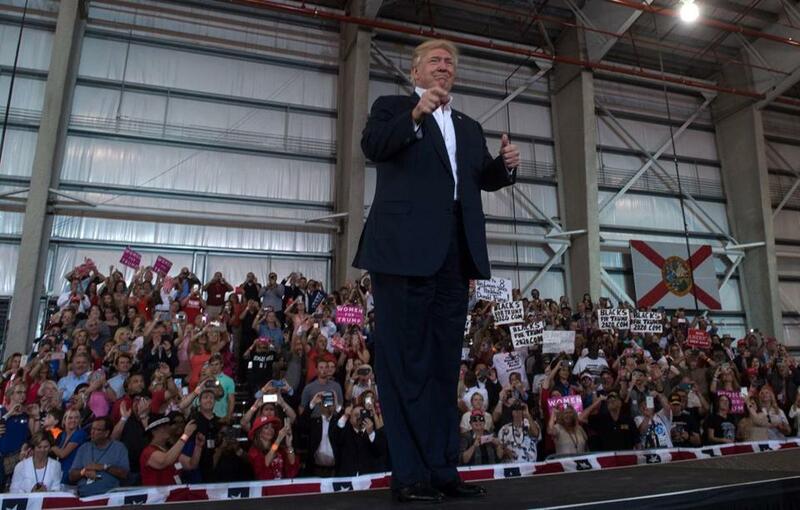 During a rally in Florida on Saturday, Trump said ‘‘look what’s happening last night in Sweden’’ as he alluded to past terror attacks in Europe. It wasn’t clear what he was referring to and there were no high-profile situations reported in Sweden on Friday night. Foreign Ministry spokeswoman Catarina Axelsson said that the government wasn’t aware of any ‘‘terror-linked major incidents.’’ Sweden’s Security Police said it had no reason to change the terror threat level. ‘‘Nothing has occurred which would cause us to raise that level,’’ agency spokesman Karl Melin said. Swedes have been scratching their heads since President Trump suggested that some kind of major incident had taken place Friday. Sunday afternoon, Trump tried to clarify his comments, tweeting that his statement was in reference to a story broadcast on Fox News regarding immigrants in Sweden. Addressing Trump in an article on Sunday, the Aftonbladet tabloid wrote, ‘‘This happened in Sweden Friday night, Mr President,’’ and then listed in English some events that included a man being treated for severe burns, an avalanche warning and police chasing a drunken driver. Over the past few weeks, Trump counselor Kellyanne Conway has also referred to a ‘‘Bowling Green Massacre’’ that never occurred, and she was caught up in a public feud with CNN. ‘‘If we are in a situation where there is tension in the world, we stand between war and peace,’’ he said. ‘‘If we then have a president who spreads lots of false rumors, it can be truly dangerous.